The velocity of a homeward-bound Apollo spacecraft was quite low during much of its coast, dipping to a minimum of about 850 metres per second at the point where Earth's gravity overcame that of the Moon. As the spacecraft continued to approach, the increase in its velocity was painfully slow until the final few hours of the mission when Earth's increasing pull ramped it up markedly. For example, on a typical mission it would take over 2 days for the velocity to rise to half its highest value, yet it took less than 2 hours to make up the other half. This steep increase simply reflected the fact that the spacecraft was falling into a deep gravity well. 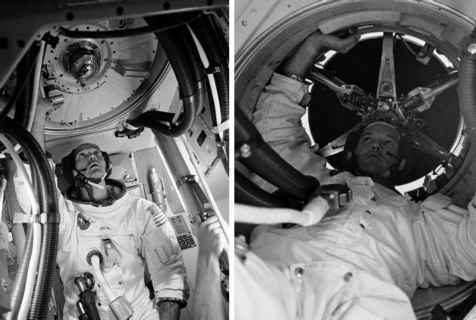 It was during the final few hours of the flight that mission control had their last opportunity to carefully track the spacecraft, refine their knowledge of its trajectory and have the crew adjust the approach velocity for a perfect entry. On some flights, guidance had been so good that this seventh planned opportunity for a midcourse correction had not been required, while on others, it was only a very minor firing of the RCS thrusters to correct for earlier unbalanced thrusting or the tiny thrust imparted by the venting of gases and liquids from the spacecraft.